With a close relation to garlic, onions, scallions and shallots, leeks are allium vegetables with a much milder taste and bigger size. They are rich in fiber and contain enough vitamins, minerals, polyphenols and antioxidants. Of course! You can eat leeks raw. When it comes to eating leeks, it is best if you eat them raw to get all the health benefits. Leeks, like every other vegetable, tend to lose most of its nutritional content during cooking processes. Consuming raw leeks regularly can increase the level of good cholesterol in the body and decrease bad cholesterol levels. Leeks can also help treat constipation and remove toxins from the body. Can you eat leeks raw? Yes, you can, but you will have to clean them properly first. Some people are concerned about the amount of bacteria and parasites in raw leeks, and here are some tips for proper cleaning. Rinse the leeks: Quickly rinse the leeks, and you will clean it thoroughly later. Cut off the tough green parts: The dark green parts of the leek should be cut off. Be careful to trim them at a sharp angle to preserve the light-green core. 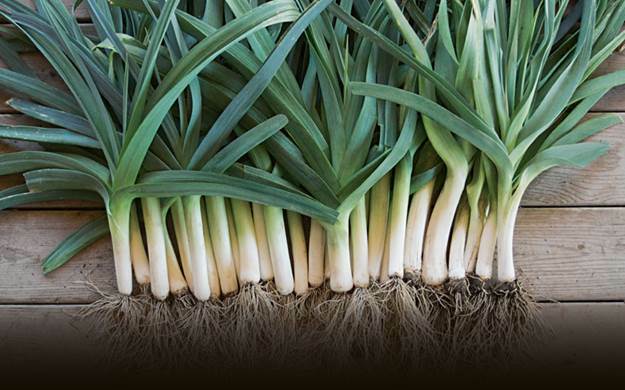 Get rid of the root ends: Arrange the leeks in a bundle so that the bottoms are aligned, and cut off the roots. It is advisable to cut the leeks in sets, if they are more than five in number. Cut the leeks into two: Divide the leeks into two parts from the middle. This will help remove any underlying dirt from the layers. Slice leeks: Pack the leeks into a bundle and cut them into your desired shapes. Wash the leeks: Finally, pour the sliced leeks into a bowl of lukewarm water and wash until the layers are separated. Take out the washed leeks and leave the sand at the bottom of the bowl. Can you eat leeks raw? Yes, you can, and here are some recipes for you to add raw leeks in your diet. Place the diced radishes, olives and leeks into a bowl. Sprinkle the salt, pepper, turmeric and olive oil on the surface. Blend the vegetables together and allow the vegetables to absorb the seasoning for about 15 minutes, which will help improve the flavor of the vegetables. 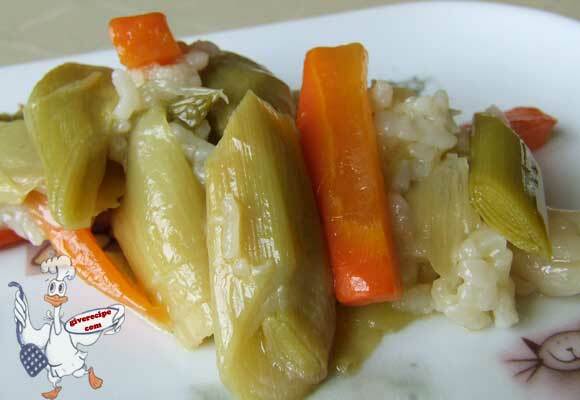 When the vegetables are all soaked up, grab a spoon and enjoy the delicious goodness. 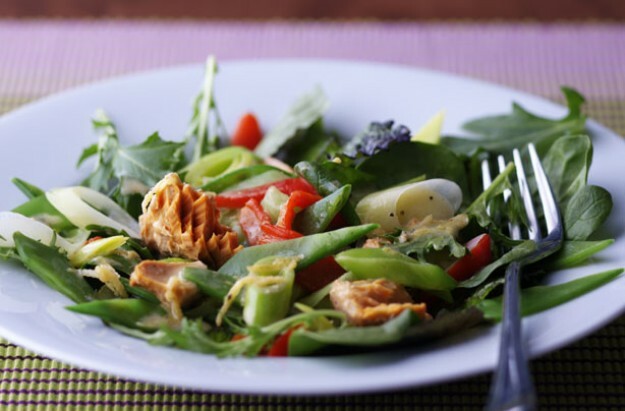 Enjoy with an avocado, or add some cilantro or any other desired toppings to the salad. Whisk the lemon and olive oil together in a bowl, and add a pinch of salt and reasonable amount of pepper. Then add the leeks. 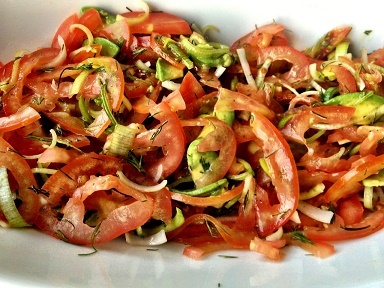 Cut the tomatoes into half horizontally, and gently squeeze the tomatoes. Slice and peel the cucumber, and cut them into halves and remove the seeds, then slice into desired shape. Finally mix all the ingredients together and season to taste. Garnish with the cilantro or parsley and serve. Wash and smash the bottom of the leek to release the flavor. Chop the leek into small pieces and put in a bowl of water to get rid of any remaining dirt. Use another bowl to mix in the gochujang, rice wine, vinegar and sesame oil. Set aside. Use a pan, microwave or oven to toast the sesame seed. Remove the leeks from the water and strain them. Add the sliced apple and all the other ingredients into the bowl and stir. Enjoy! Can you eat leeks raw? 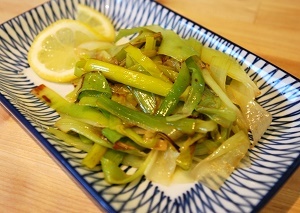 Yes, you can try this delicious recipe using raw leeks. Cut the bottom of leeks and dice them into slices of 1 cm thick. Slice the tomatoes and add them to the leek. Pour in the juice from the tomato, the olive oil, pepper flakes, salt and pepper. Stir and serve!